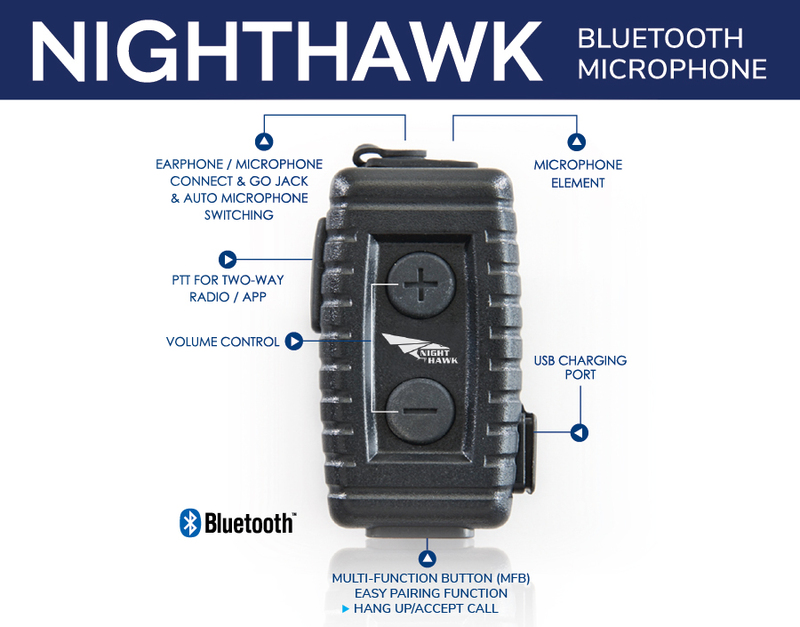 With the emergence of popular mobile PTT apps, the Nighthawk Bluetooth Body-Worn Microphone is especially unique in that it’s functional Push-to-Talk (PTT) button enables it to work in conjunction with these new apps that are found in many industries. 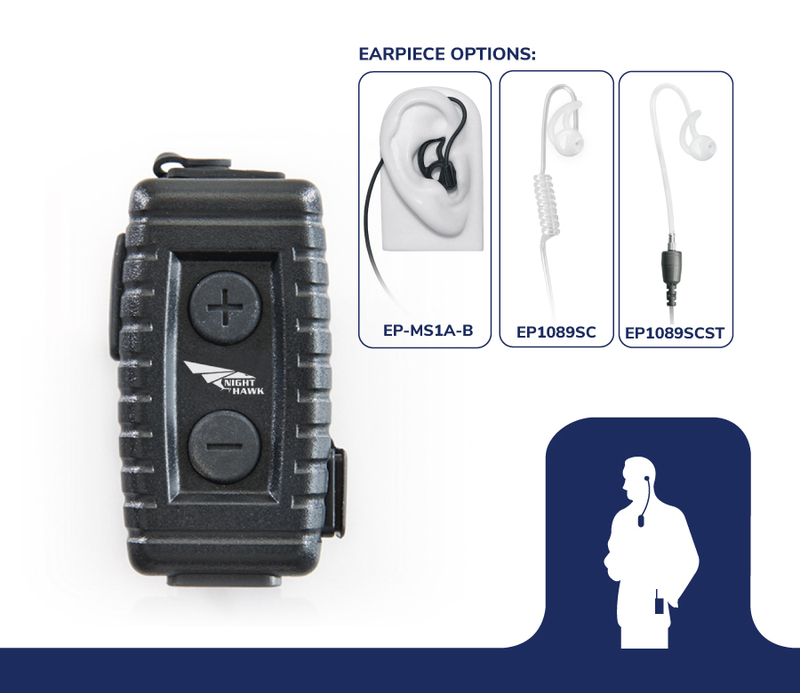 The Nighthawk Bluetooth Body-Worn Microphone is a wireless device with Push-to-talk (PTT) capability that supports a wide range of communication needs. The unit stands apart from the rest, with 12+ hour talk-time, durable and rugged housing that offers more long-term durability, as well as a custom designed earpieces that deliver enhanced comfort and decreases exposure to radiation. 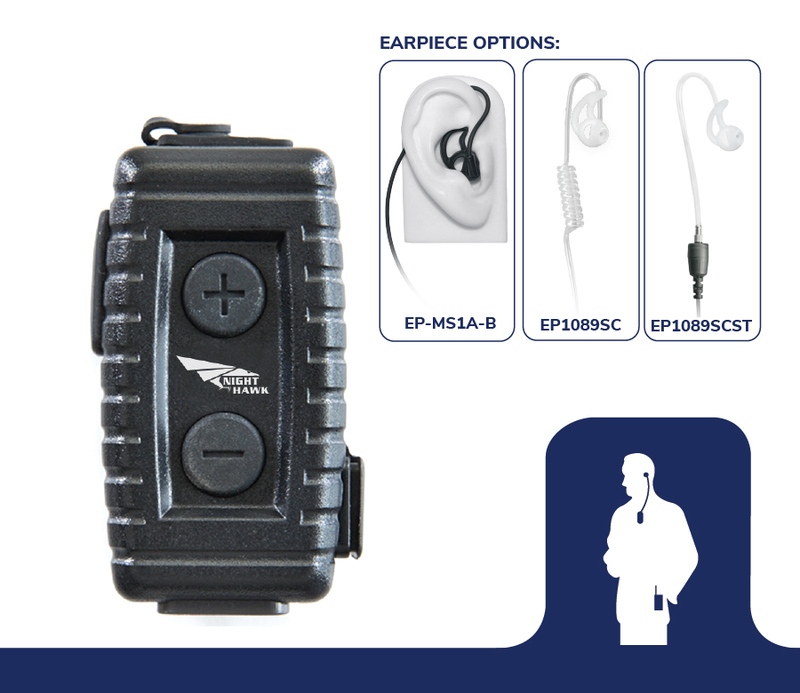 Three earpiece options are available: Long Tube, Short Tube and Tubeless. Available for these Android apps: Contact, Zello, ESChat. AT&T & Verizon, Kodiak. Use with your favorite PTT apps on both Android platform smartphones. Body-worn microphone with removeable earpiece for improved comfort & safety. Talk time 12 hrs. / Standby: 150 hrs. 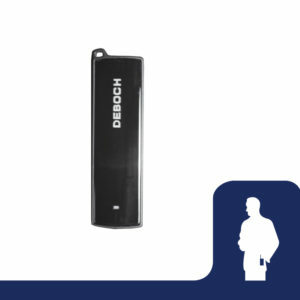 Designed with a 3.5mm audio jack to accommodate an external earpiece or an external microphone, for even more field versatility. 3.5mm jack for external earpiece or supplemental microphone. 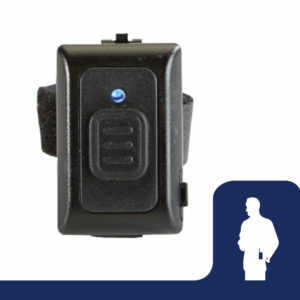 The Nighthawk Wireless Body-Worn Microphone is the ideal companion for your Smartphone POC (Push-to-Talk) Apps. Learn more about all of the features and benefits here.